Hartland VT – On 06-28-2018 at 07:33am Vermont State Police responded to the report of a two car motor vehicle crash on Interstate 91 in the Town of Hartland. The crash occurred in the area of mile marker 60 north bound near Exit 9. Investigation revealed that the 2008 Chevy truck being operated by Joshua Rondeau of Springfield, VT lost control while traveling south bound, crossed the median and struck the 2007 Toyota Matrix head on. The operator of the Matrix was pronounced dead at the scene. A juvenile passenger in the Matrix sustained non-life threatening injuries and was transported to Dartmouth Hitchcock Medical Center. The operator of the Chevy truck and two juvenile occupants were also transported to DHMC with non-life threatening injuries. I91 north bound was closed for a period of time at exit 9 while crash investigators completed their on scene investigation. It was reopened at approximately 1:00PM. The name of the deceased is being withheld until notification of family. Lebanon NH – On 6/21/18 at approximately 11:00AM, the Lebanon Police took a report from a local car dealership regarding a vehicle that was obtained by fraud. 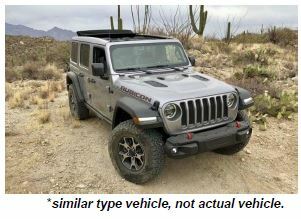 The dealership reported that a male subject, accompanied by a white female, came to the dealership and entered into an agreement to purchase a 2018 Jeep Wrangler Rubicon, color gray, with New Hampshire dealer registration plate 229-7669. 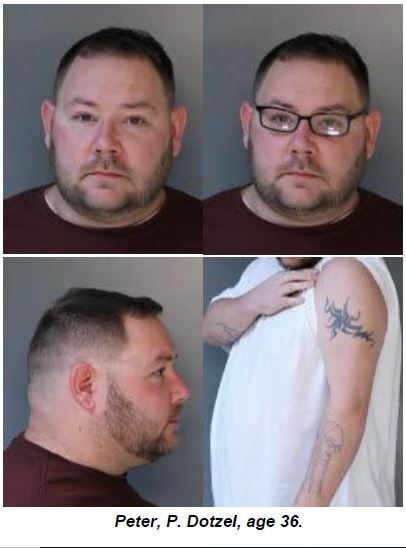 The male subject is identified as Peter P. Dotzel, age 36, last known to be living in Pennsylvania. Dotzel took possession of the vehicle and was supposed to return to the dealership to finalize the deal, but failed to do so. It was later determined that information presented by Dotzel to obtain the vehicle was fraudulent. 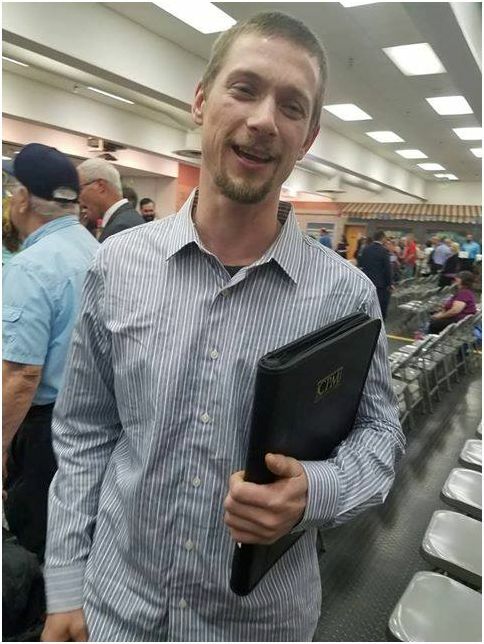 The Lebanon Police Department is asking for the public’s help in locating Peter Dotzel. Dotzel is seen in surveillance photos accompanied by an unidentified white female. The couple arrived in a black newer style Jeep Cherokee, which is featured below, with Pennsylvania plates. Dotzel is believed to be moving between the Piermont, New Hampshire area and the area of Jeffersonville and Stowe, Vermont. Dotzel is currently wanted on Theft and Fraud Charges out of Pennsylvania as well as a Parole Violation. Dotzel is approximately 5’8” tall, 230 lbs., with brown hair and hazel eyes. He is known to go by Peter Smith and has other possible aliases. If you see Dotzel, see or can identify the female companion pictured below or see the stolen Jeep, or the black Jeep with Pennsylvania tags, please contact your local authorities immediately and/or contact the Lebanon Police Department at 603-448-1212. The public can submit anonymous tips through our tip-line, 603-448-CLUE or online at LebanonNH.gov/CLUE. 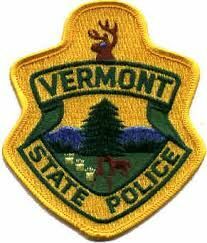 Weathersfield VT – On June 23rd 2018, the Vermont State Police Westminster Barracks responded to a disturbance at the Running Bear Campground in Weathersfield. Upon the arrival of Troopers they were directed to the site that was the source of the noise. During the investigation Sherry Leonard, who was not a registered guest, continued to shout profanities and scream at people in the area. She was advised several times to quiet down as it was late and people are trying to sleep. She continued to yell, causing people from other campsites to gather around. She was given more warnings to stop yelling, but failed to comply and was ultimately arrested for disorderly conduct. She was transported to the Springfield Police Department for processing. She was ordered held at the Southern State Correctional Facility until sober. She was cited into Windsor County Criminal Court on August 21st, 2018 at 0800 for disorderly conduct. Haverhill NH – At approximately 12:18 am on the morning of 6/19/2018 the Haverhill Police Department and the Haverhill Corner Fire Department responded to 730 Mt. Moosilauke Hwy. in Haverhill for a report of a structure fire. Through investigation at the scene it was determined the circumstances surrounding the fire were suspicious. 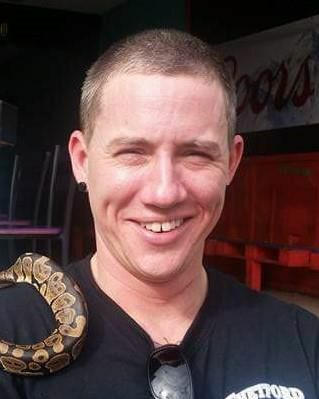 The resident of that address, 37 year old Daniel Wyman, is missing and possibly in danger. Wyman was last seen leaving 286 Mt. Moosilauke Hwy. in Haverhill at approximately 12:16 hours on 6/19/18. Wyman is described as being 5’10” approximately 180 pounds with brown hair and green eyes (photograph attached). Anyone with any information relating to either the fire or the possible whereabouts of Daniel Wyman is requested to contact the Haverhill Police Department at 603-787-2222. This investigation is being conducted in coordination with the NH State Police, NH Fish and Game, and NH Fire Marshalls. On 6/19/18 the Lebanon Police Department sought the public’s help with locating 41 year-old Shannon White, of Lebanon, New Hampshire, who had been missing since June 18th. Unfortunately, Mr. White was found deceased in Berlin, Massachusetts on June 19th. The Worcester County, Massachusetts, District Attorney’s Office is now handling this case. Any further information concerning Mr. White will be released via their office. We appreciate the public’s help in attempting to locate Mr. White and send our sincere condolences to his family.On 6/19/18 the Lebanon Police Department sought the public’s help with locating 41 year-old Shannon White, of Lebanon, New Hampshire, who had been missing since June 18th. Unfortunately, Mr. White was found deceased in Berlin, Massachusetts on June 19th. The Worcester County, Massachusetts, District Attorney’s Office is now handling this case. Any further information concerning Mr. White will be released via their office. We appreciate the public’s help in attempting to locate Mr. White and send our sincere condolences to his family. Lebanon NH – The Lebanon Police are seeking assistance in locating Shannon White, age 41, of Lebanon, NH. Mr. White was last seen in Marlboro, Massachusetts at the Hampton Inn in the early morning hours of June 18, 2018. He left the hotel driving a 2014 gray Honda Accord, with NH Veteran plate HIRUM, and was believed to be headed back to Lebanon, NH. Mr. White is described as 5’07, 140 lbs. with salt and pepper hair, and hazel eyes. He was last seen wearing dark pants and a light blue dress shirt. Anyone who may have seen Mr. White or his vehicle is asked to call the Lebanon Police Department at 603-448-1212, or the local authorities. 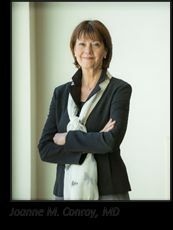 LEBANON, NH – Dartmouth-Hitchcock Health and Dartmouth-Hitchcock CEO and President Joanne M. Conroy, MD, has been named one of the 50 “Most Influential Physician Executives and Leaders” by Modern Healthcare magazine. Conroy, who arrived a little less than a year ago and has ensured the $58 million turnaround in the health system’s finances, is featured in the June 18 issue of the magazine, along with leaders of the nation’s top health system, government agencies, and foundations. She was noted not only for the financial success, but also for the system’s solid bond rating reviews and efforts to improve staff engagement and retention. The “50 Most Influential Physician Executives and Leaders” list is an annual recognition program honoring physician executives working in all sectors of the healthcare industry who are steering their organizations and the healthcare delivery system through dynamic, challenging times. These physician leaders stand out for the scope of their executive responsibilities, personal achievements, innovation and commitment to their communities. Others named to the “50 Most Influential” list this year include FDA Commissioner Scott Gottlieb, Mayo Clinic President and CEO John Noseworthy, Dana Farber Cancer Institute President and CEO Laurie Glimcher, Assistant HHS Secretary Elinore McCance-Katz, and United States Senator Rand Paul. 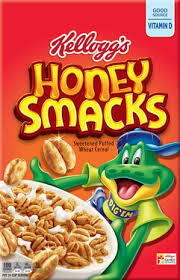 Concord, NH – The New Hampshire Department of Health and Human Services (DHHS), Division of Public Health Services (DPHS) is informing consumers that The Kellogg Company is recalling all boxes of Kellogg’s Honey Smacks cereal as part of an investigation into an ongoing, multistate outbreak of Salmonella Mbandaka. The U.S. Centers for Disease Control and Prevention (CDC), public health and regulatory officials in several states, and the U.S. Food and Drug Administration (FDA) are investigating 73 illnesses across 31 states related to a specific type of Salmonella. The illnesses occurred between March 3, 2018, and May 28, 2018. Based on interviews of ill people, investigators have determined that the Honey Smacks cereal is the likely source of the outbreak. One case of salmonellosis has been confirmed in New Hampshire as part of this outbreak. Salmonella causes diarrhea, fever, and abdominal cramps usually 12 to 72 hours after infection. The illness usually lasts 4 to 7 days, and most people recover without treatment. However, in some cases, the diarrhea may be so severe that the patient needs to be hospitalized. In these patients, the Salmonella infection may spread from the intestines to the blood stream, and then to other body sites and can cause death unless the patient is treated promptly with antibiotics. DPHS continues to follow this outbreak closely, including coordinating with the CDC and FDA to investigate reported cases, and will provide updates as they become available. To report a suspected illness associated with this outbreak, people should contact the DPHS Bureau of Infectious Disease Control at 603-271-4496. For further information, please visit the CDC webpage dedicated to the outbreak at https://www.cdc.gov/salmonella/mbandaka-06-18/index.html. Lebanon NH – On June 14, 2018 at approximately 3:30PM Lebanon Police Officers responded to Walmart on Plainfield Road for a report of a possible drug transaction taking place in the parking lot. 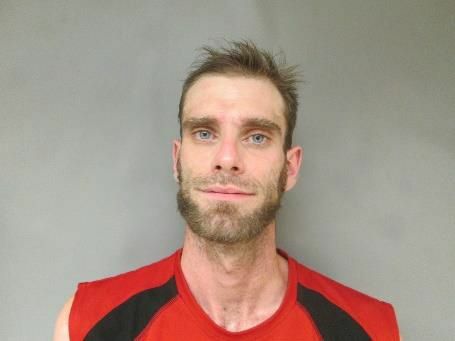 Officers located a male suspect nearby, identified as Gregory Haggerty, Age 31, of Lebanon NH. Haggerty was found to be in possession of Suboxone and Marijuana. It was learned that Haggerty had just sold ten strips of Suboxone to another subject. He was arrested and charged with Sale of the Controlled Drug Suboxone, a Class B felony, Breach of Bail and Possession of Marijuana, a Class A Misdemeanor. Haggerty was out on bail from a previous drug charge. Haggerty refused bail and was transported to the Grafton County House of Corrections pending arraignment in the Grafton County Superior Court on June 15, 2018.